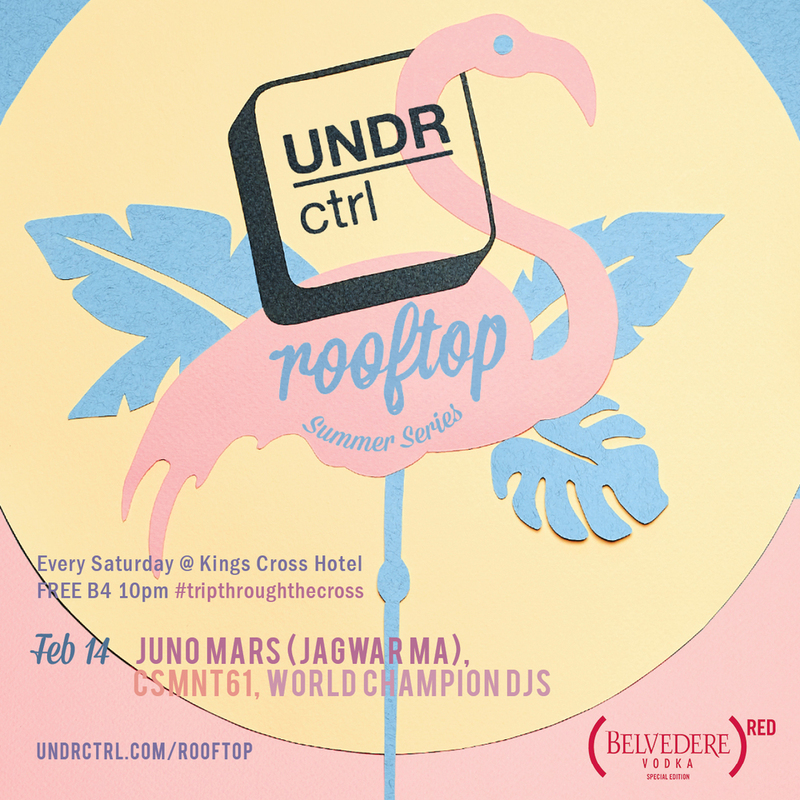 On Saturday night we were blessed with some stellar sets up on the UNDR ctrl Rooftop from Linda Marigliano, Kali and Adi Toohey. This week, we host one of the biggest line-ups of the whole Summer Series with an exclusive set from Jagwar Ma main man Juno Mars. Having toured the globe and back with the band for more than a year, the Future Classic star is back in Sydney working on the next record. Which is good news for us! Juno Mars will be joined by future legends World Champion DJs and Motorik's very own csmnt61 aka the Santamaria brothers for a pretty damn sweet night of electronica. YEWWWW, As ever get down before 10pm for FREE entry.